Multitube heat exchangers with mixing elements in the multitubes are ideal for product viscosities between 50 and approximately 500 mPas. Various static mixing elements can be installed in the multitubes depending on the heat transfer application. 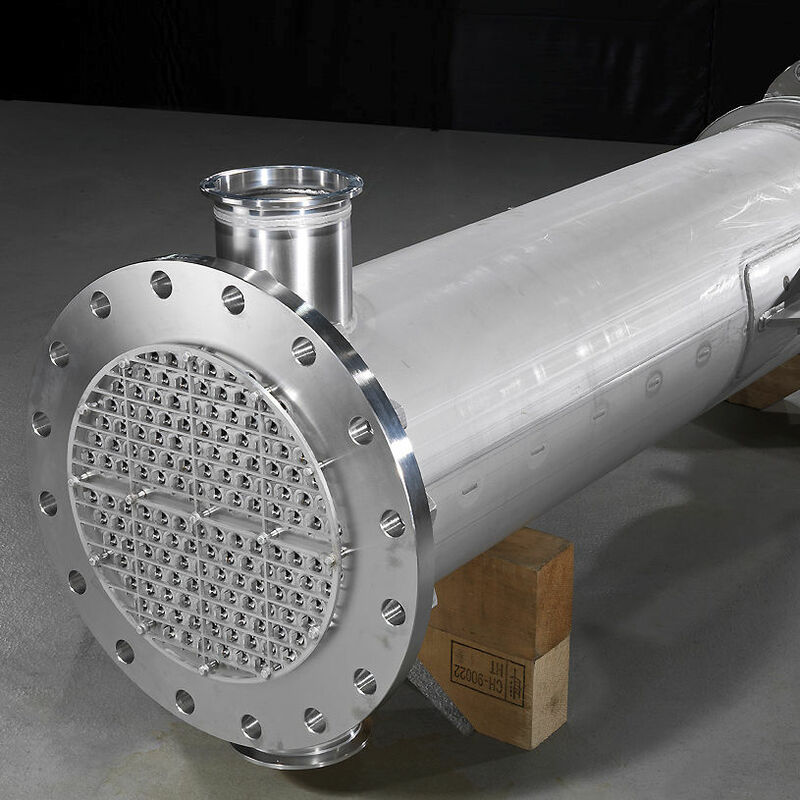 These elements increase the heat transfer from the product to the tube wall, so that smaller sizes can be realised than if the multitube heat exchanger has no mixing elements. Multitube heat exchangers are not suitable for processeswhere the residence time is critical or for cooling tasks where the viscosity increases significantly (risk of maldistribution). The Fluitec CSE-XR® mixer / heat exchanger is recommended as an alternative for these applications.